Some of you may recall last fall I organized a Peer 2 Peer University course on “Collaborative Lesson Planning” [CLP] along with Dr. King. Courses started again at the beginning of January and Dr. King are once again offering our course. Besides us there are 9 members in the course this time, up from 4 last, and as organizer’s we have a much better sense of what’s going on. Heading in to week 1 I outlined the expected work from members in the syllabus, basically: start a journal & introduce yourself, respond to someone else’s journal, write a plagiarism statement and do the weekly reading. We had 3 people start journals & introduce themselves: Joe, Erich & Celaina. In her intro Celaina did the plagiarism statement and slightly later Joe did his as well. 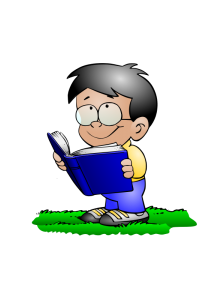 The reading was about hacking, which perhaps was a little too abstract (side note I linked to the same article in my writings about Public Domain Education scroll down on the linked-2 post). I feel some people might’ve seen it and wondered what the hell it had to do with CLP, thinking of the popular conception of the term hacking: breaking into someone else’s computer and messing s&*t up. I tried to contextualize it with a Stallman article about hacking, but my suspicion is more people were still thinking about like Julian Assange in a bad way (not how I think of him) when they heard hacker. As I expected however, Joe did respond to the readings with this intriguing book idea he’s had ruminating. Heading into week 2 I am a little behind. Week 2 began on Wednesday and I didn’t give out the weekly reading assignment till Thursday, nor write this recap till Friday. I still haven’t done personal e-mails/contacts to everyone, something I found to be very important in the last cycle. Do you have any ideas about how any of this? Please share them in the comments. image: “School Boy” by, gustavorezende, 2011, dedicated to the public domain. Pub’d in the Open Clipart Library. two good reads for myself and all others who share information on facebook. found via Mr. Stallman’s site. 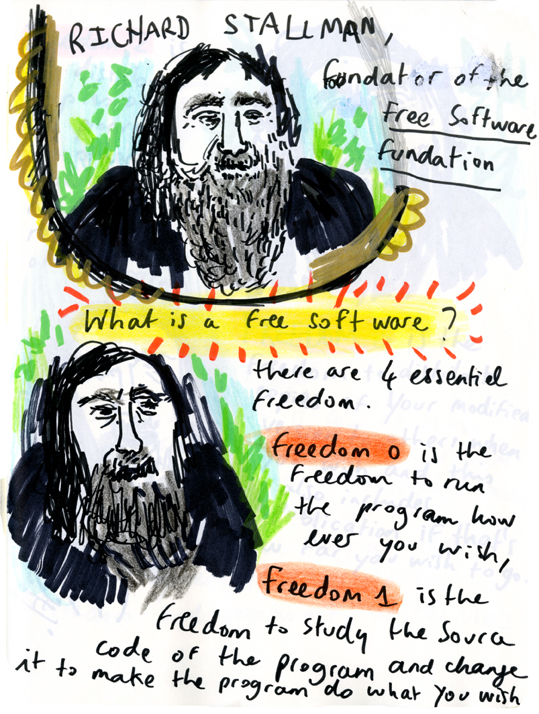 Richard Stallman What-is-free-software-1 LucyWatts by, Lucy Watts. Published to the Wikimedia Commons. Creative Commons Attribution-Share Alike 3.0 licensed. On Hacking by Richard Stallman, an excellent investigation into what hacking “is” and “means” through the use of a cute story. “Playfully doing something difficult, whether useful or not, that is hacking.” Richard’s home page is also awesome. Intrigued to find out more I turned to the Wikipedia article about him and discovered he is the one of the founding fathers of Free Software, and a man whose subsequently devoted his life to freedom. Jeffrey Friedl’s gorgeous blog with amazing photo data pages. I’m interested in photo metadata, so I was particularly excited to find out about Phil Harvey’s exiftool from one of Jeffrey’s links. Richard Matthew Stallman.jpeg from Wikimedia.